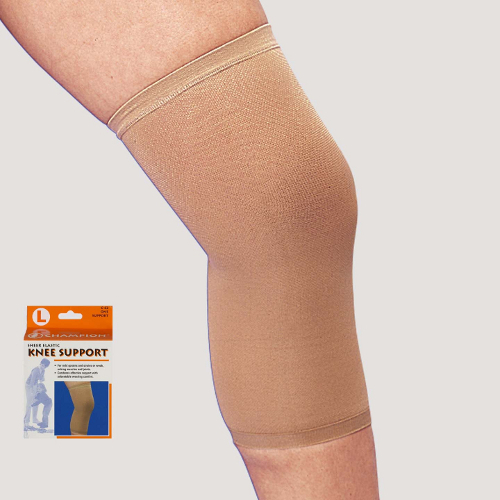 The SAI / Champion Sheer Elastic Knee Support is designed for weak, tired or strained knees. The SAI / Champion Sheer Elastic Knee Support is designed for weak, tired or strained knees. It provides a comfortable uniform compression over the affected area while helping to permit continued activity without binding or cutting. Measure around the bend of the knee to find size above.